Autism Service Dogs provide a level of comfort and safety for people with autism, particularly children on the spectrum. These service dogs trained for autism can help people to gain the confidence they need to function in normal daily tasks and can provide an added level of assurance for parents of autistic children. 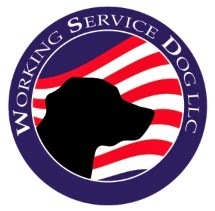 Where Are Autism Service Dogs Allowed? Children with autism often struggle with social situations and service dogs are allowed to accompany the child on all public outings under the American's with Disabilities Act. Autism service dogs can even accompany children to school to help foster a more productive, and effective learning environment. These and all types of service animals should wear a service dog vest to help distinguish it as a working dog instead of household pet. This will eliminate any questions about whether or not the dog will be allowed in a school setting. How Can Service Dogs for Autism Help? There are varying levels of autism and service dogs can be trained to assist with a variety of tasks. Communication: Some children with autism are non-verbal and may have difficulty with communication but a service dog can help to build the child's confidence and language skills. By voicing their thoughts and opinions to a patient and understanding dog, kids are able to slowly build up their communication skills without fear of being called out if they stumble over their words. They can then begin to use their newly acquired speech confidence to begin to express themselves to people as well. These dogs are also often a child's primary companion and friend, as well as service animal as these animals are non-judgmental and supportive. Comfort: Children with autism often experience episodes of behavioral instability caused by outside stimuli, such as loud noises or unfamiliar surroundings. Autism service dogs provide a comforting familiarity for children to calm themselves down. Petting or hugging the dog can give them reassurance that everything will be okay. Safety: One of the common occurrences with autism is that the child will not be aware of their surroundings. This can lead them to walk directly into danger, such as wandering into a street, and an autism service dog can increase the child's safety. The dog can be trained to guide the child away from danger, or in the event that the child has already wandered away, the dog can track the child to bring it back to safety. If your child is on the autism spectrum, consider adding a service dog for autism to your household. The bond that the child and the autism service dog will form can help your child to grow and improve in many social situations. 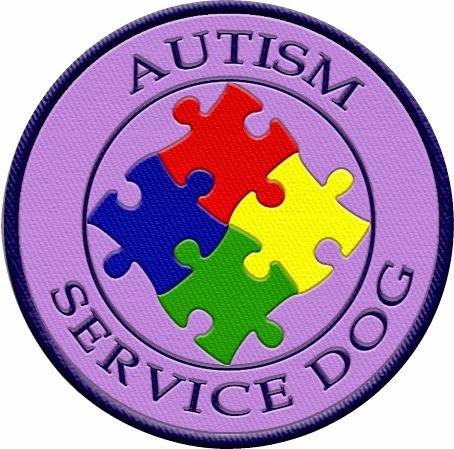 For more information on an autism service dog you can visit http://4pawsforability.org/autism-assistance-dog/ and remember, a properly outfitted autism service dog will ensure that the child and animal are not at risk of any conflict while out in public, or at school.